We love hearing about your jewellery stories and seeing your pretty jewellery. Diamond Initial Necklace makes for the most special personalised piece to carry your loved ones with you always. Hand engraved with a scrolled initial of your choice and embellished with a brilliant-cut sparkly diamond in a Victoriana star style setting. 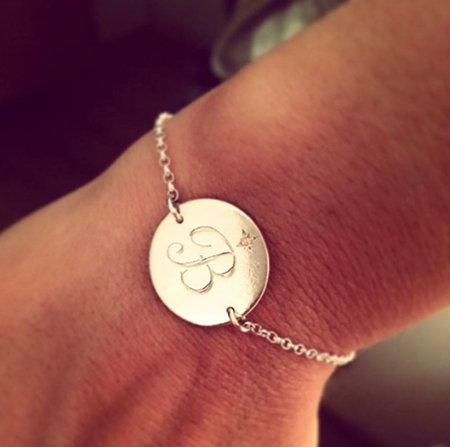 One of our favourite pieces of personalised jewellery. Hi Bianca, Just wanted to say I received my ‘Alphabet and Pearl Charm’ Necklace yesterday and I absolutely love it 😀 Thanks again. I love all of your stuff and wear something of yours almost every day, especially my new ‘Airplane’ Necklace!